Listen for the sound of hooves pounding. Look for manes flying in the wind. Feel the rush of awe at the sight of these creatures. 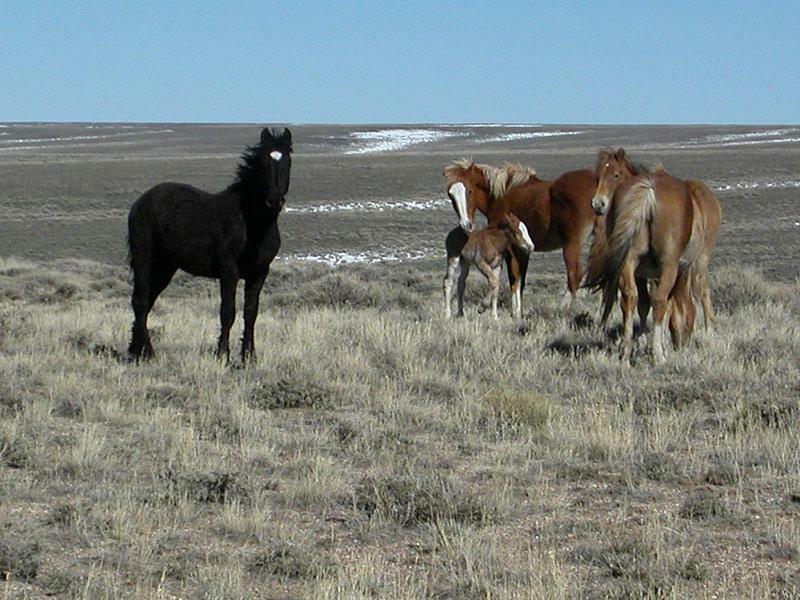 The Pilot Butte Wild Horse Scenic Tour is something you and your family will never forget because Flaming Gorge Country's cherished wild horses are living examples of a wide-open landscape and untamed frontier spirit. 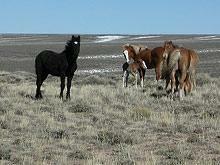 Watch for wild horses between Rock Springs and Fourteen-Mile Hill, and all the way across the top of White Mountain. You'll also have a chance to take in some of the best vistas in Wyoming. In fact, this route offers several scenic overlooks of the area's prominent features, such as Pilot Butte, Boar's Tusk, Killpecker Sand Dunes, Steamboat Mountain, North and South Table Mountains, Leucite Hills, Aspen Mountain, Wilkins Peak, and the Overland Trail and Union Pacific railroad corridors. From Green River WY, turn north onto Wild Horse Canyon Road off of Flaming Gorge Way. From Rock Springs WY, travel 14 miles north on US Hwy 191 and turn left on County Road 4-14 (Fourteen Mile Road). Thank you for visiting http://www.flaminggorgecountry.com/Pilot-Butte-Wild-Horse-Scenic-Tour! Be sure and revisit flaminggorgecountry.com frequently for content updates and more.